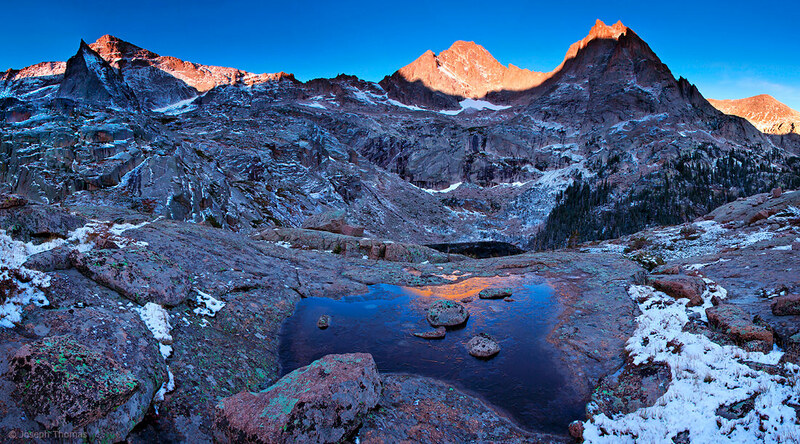 Black lake can be seen far below this frozen tarn in Rocky Mountain National Park. The sharp peak to the left is The Spearhead. McHenrys Peak and The Arrowhead are at right. A six-mile nocturnal hike was required to arrive at this location before sunrise.